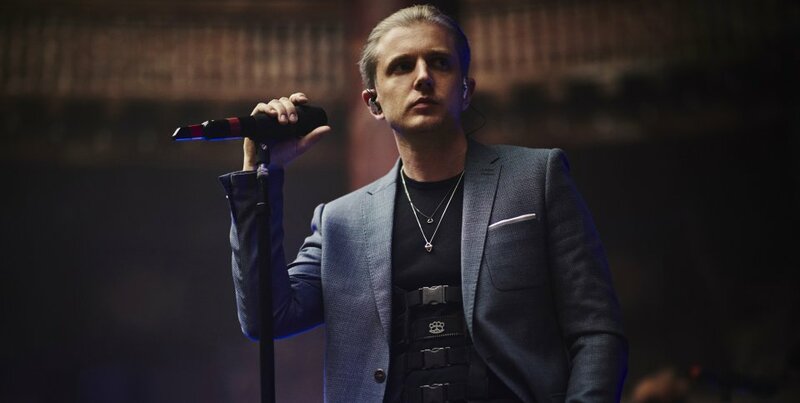 Yesterday multi-award-winning artist Plan B released the refreshing music video for ‘Wait So Long’, taken from his fourth studio album Heaven Before All Hell Breaks Loose. ‘Wait So Long’ takes on strong ska influences as the popping bass and guitar rhythms create the perfect track to have a boogie to. The premise of video was written and co-directed by the man himself, and has a strong dystopian vibe similar to what you’d expect on Black Mirror or Electric Dreams. It shows fans attending a “Plan B 2.0” gig which takes place in virtual reality and features cutting-edge technology that reveals people’s true identities in the fictitious world. The contrast between the 90s reggae/ska-style song and the futuristic video makes for a really compelling watch as Plan B’s vision sees them complement each other well. This follows on from ‘Guess Again’s video which is seemingly set in a similar universe and was released in May. Heaven Before All Hell Breaks Loose was released in April and has been referred to as “A blessed return and his strongest work yet” by the Metro, and received solid ratings across the board. While ‘Wait So Long’ shows the him focus on singing, the album as a whole doesn’t stand still as he can still be heard digging up his rapping roots in tracks like ‘Guess Again’ and ‘Mercy’, and dips into genres like drum and bass, RnB and gospel. Plan B has had astounding success over his time in the industry as his raw, incendiary debut album Who Needs Actions When You Got Words broke new ground for UK hip hop 12 years ago. His follow-up, 2010’s The Defamation of Strickland Banks, hit quadruple-platinum status, reached the #1 album spot and sold over 1.4 million copies in the UK alone, plus saw him win both a BRIT and three Ivor Novello Awards.